As humans, we’re hardwired to desire connection with others. Our relationships are so important to our well-being. That said, we also want to be true to our inner self, expressing our uniqueness and bravely speaking our truth. When we push down our real feelings, they eventually come out sideways, causing emotional damage. How do we create a bridge between our needs and those of the people we care about? How do we set boundaries without risking our relationships? Many people struggle with this, and there is hope. We can learn skills to express ourselves, satisfy the yearning to live authentically, and communicate in a way that improves our relationships. There are tools to improve our ability to connect with others, and ways to shift our thinking to a more positive and balanced perspective. I can help by providing a safe, non-judgmental space for you to explore and uncover the solutions that work best for you. 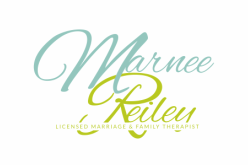 I bring strong clinical experience, empathy, humor, and warmth to my work with couples, families and individuals looking to reconnect, get back on track, and increase the joy in their lives. An alliance with a therapist who is the right fit for you can make all the difference. I would be honored to be part of your journey. Call me at 949-648-7991 or email me at YourOCTherapist@gmail.com. My office is located in Irvine, near Red Hill and MacArthur, and convenient to Newport Beach, Buena Park, Fountain Valley, Corona del Mar, Costa Mesa, Tustin, Lake Forest, Laguna Hills, Laguna Woods, Mission Viejo, Anaheim, Aliso Viejo, Santa Ana, and other Orange County locations. LGBTQIA-affirming and secular, welcoming clients from diverse cultural and ethnic backgrounds.